There’s a churlish and contrary side of me that remains petulantly bothered by Disney’s 1978 film Return from Witch Mountain. My complaint is that Tony and Tia don’t get to do nearly enough together. Kim Richards and Ike Eisenmann had such fun chemistry together in the original film, and they’re separated for nearly the entirety of the sequel. On the other hand, they don’t waste time getting this story moving. I like the way this movie just takes off running. 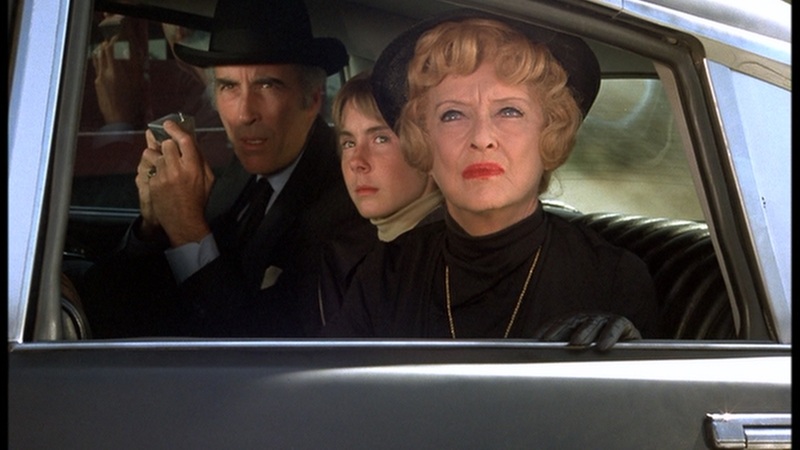 Ten minutes in, and we’ve met the villains, as played by Christopher Lee and Bette Davis. I don’t believe that either actor would have listed this movie among their ten best, but boy, are they ever fun. They’re properly evil, too. The only thing in this film that troubled our son was Christopher Lee knocking out Tony with an injection – could movie makers get away with anything like that today?! – but he recovered and enjoyed the daylights out of this. I’ll tell you who else would enjoy the daylights out of this: anybody who grew up in Los Angeles in the mid-1970s. There’s a lot of location filming here as Tia meets up with a gang of truant kids called the Earthquakes and hides out with them looking for Tony. Bizarrely, she doesn’t think about going to the police for help. I get that identifying herself would be a huge issue, but the subject just doesn’t come up. 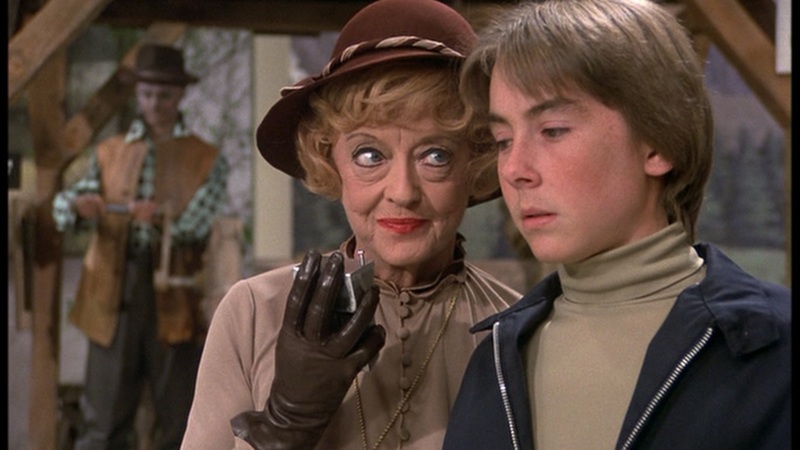 Speaking of police, I guess if I’m being honest, the only thing about the movie that actually aggravates me is the mammoth plot hole about Bette Davis’s station wagon. Once the baddies have stuck a mind control chip behind Tony’s ear, they’ve got an accomplice with telekinetic powers and she plans to heist a museum of $3,000,000 in gold. But she didn’t think it through, and her car is totaled by the giant stack of gold bricks. At no point do the police follow up on this. Of course, in Disney films, policemen are only ever present to either have their own cars wrecked, or lower their eyebrows, ticket pad in hand, when somebody else’s car gets wrecked, but seriously, nobody followed up on the destruction of the getaway car to see who owned it? Anyway, with our heroes separated, the movie’s effectiveness comes down to the chemistry with their co-stars. Eisenmann has the totally thankless task of playing an emotionless slave for almost the whole film; he’s a blank slate for Lee and Davis to be simply evil. 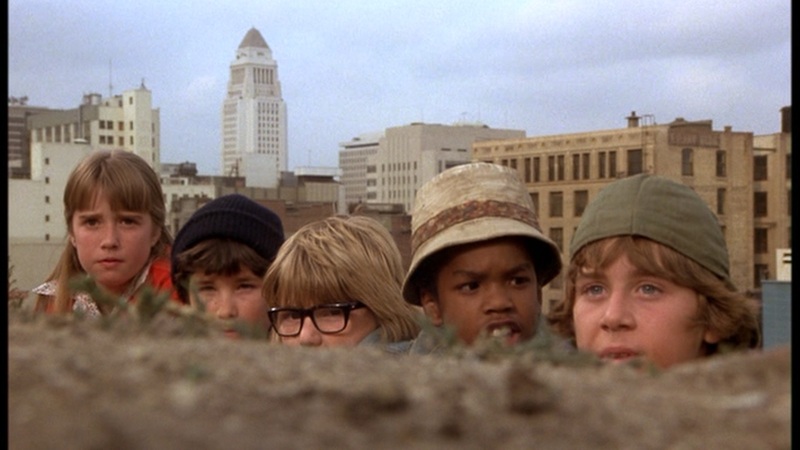 Richards is teamed with a kid gang played by young actors who are pretty entertaining, too. 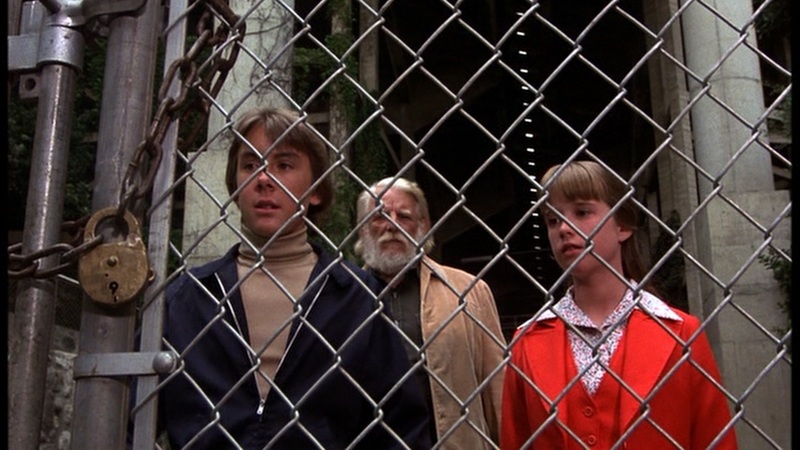 One of the gang is played by “Poindexter,” a child star who seemed to inevitably take roles in the seventies that Robbie Rist had turned down. The gang’s leader is Christian Juttner, who we’ve seen in Ark II and Wonder Woman, and who we’ll see again in a recurring part in the first season of The Bionic Woman in a couple of months. Grown-up support comes from the wonderful Richard Bakalyan as a jerk of a taxi driver who steals the kids’ luggage and deserves what he gets, and Barney Miller‘s Jack Soo as “Yoyo,” the truant officer trying to catch the Earthquakes. With that in mind, it’s probable that, with its dated optical effects, rear-screen projection, obvious stunt doubles and wire-work, Return from Witch Mountain looked a little old-fashioned to audiences in 1978 as Star Wars and all of its imitators were showing up in theaters – more on that subject very soon – but our son probably enjoyed this even more than the original. The telekinetic chaos is genuinely fun to watch, even if Davis really should have tried her museum heist after dark, and the effects scenes are perfectly paced to keep children interested. Our kid absolutely loved the really excellent car chase about halfway through the film, and when Tia telepathically sends a goat to fetch the Earthquakes, he was roaring. The animal ends up in a car while its driver is oblivious – we’ve seen that before from Disney – and then all the tough-guy kids end up hanging from pillars in their hideout’s big room while it brays and nips at their legs to get their attention. He was laughing so hard he nearly cried, and made up a “Chasing the Goat” song.